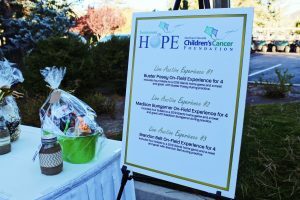 Northern Nevada Children’s Cancer Foundation is a local charity organization that helps diagnosed children and their families with finances, support, and hope. They host events all over the city to raise awareness and money. Some of the important events are the yearly NNCCF Benefit Horse Show at Meadowview Equestrian Center and the Tournament of Hope. They take not only financial donations, but blankets, hats, and stuffed animals as well. These items help the kids that go through relentless hours of chemotherapy to feel more comfortable and less nervous at long appointments. Throughout the process, the team at NNCCF is there to provide aid and advice to the family. They help negotiate prices such as travel, medical, and hotel expenses. When a child successfully completes their chemotherapy, there is a special event where they ring a silver bell, signaling the end of their battle. The Tournament of Hope, one of the biggest events they host, took place in September. They have raised $1.4 million, and this year the tournament held 144 golfers. The event has strengthened their resources and expanded their support within Nevada. They also host St. Baldrick’s, where anyone can register to shave their head in support of the children losing their hair during chemotherapy. NNCCF has raised over $1.6 million in funds for the head shaving event. Their benefit horse show has also grown in the past six years from $10,000 to $60,000 raised, and from 100 volunteers to 400. It is now a three-day event that hosts live auctions, large corporate sponsors, and a speaker who has undergone the harsh treatment. The continuous expansion of NNCCF just goes to show what we can do when we put our minds to it. 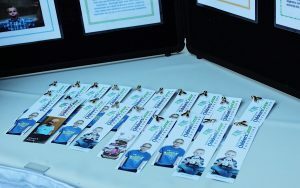 As a local organization for such an important cause, it is vital that NNCCF gains awareness and attention so that they can continue to help these children. Their future goal is to fund treatment specifically for children that does not have the same effects as the adult treatment. Although 80% of children with cancer survive through the process, two-thirds of children suffer long lasting effects from the harsh treatment. Shirley Folkins-Roberts, the co-founder of NNCCF says they hope to better the treatment so that the adult treatment does not ravage their bodies. Roberts is passionate about the families that come to them for help and the stories that they tell. For 14 years, they have continually expanded and reached out to more families than ever before. They have raised $3.9 million for 483 families and grown 100 times bigger in revenue. From one staff member, they have expanded to eight with the help from full time volunteers. With many family activities, as well as the Inspire Scholarship for survivors, they have changed so many lives. Now NNCCF even goes on a yearly trip to Washington D.C. and takes families to advocate on a national level with representatives for children’s cancer research. Roberts is a co-founder along with her husband and her best friend, Debby. It has allowed me to see the best side of the community and the generosity of Nevada, said Roberts. I have had the privilege of knowing and supporting some of the bravest people I will ever meet, including the children and young adults for which the diagnosis changes them, she continued emotionally. Roberts is proud to say that NNCCF has become a sanctuary for the children affected by this diagnosis. The journeys of these angels are represented by the Wall of Courage which shows the battles they have undergone and the courage they have gained. There are many ways to actively be involved in the fight against children’s cancer, and NNCCF always has an open position for anyone interested. Anybody wishing to be involved can call them at (775) 825-0888 or visit their website NVChildrensCancer.org. From the Holiday Adopt-A-Family which provides gifts to the family, or volunteering to make baskets at the Tournament of Hope, there is no shortage of things to help out with. Even students at UNR can visit their tailgates to assist them. NNCCF has grown tremendously and gained a massive group of support, and they can aid more children with Nevada’s generosity and kindness.